Heat oven to 350°F. Spray 13x9-inch (3-quart) baking dish with cooking spray. 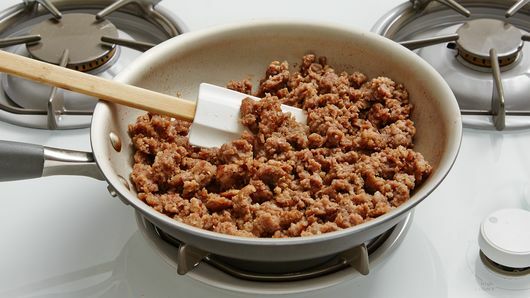 In 8-inch nonstick skillet, cook sausage over medium-high heat 5 to 7 minutes, stirring frequently, until no longer pink; drain. Remove pouch of vegetables from box. Place pouch, printed side up, on microwavable plate. Do not cut slit in pouch. Microwave on high about 2 minutes or until just thawed. In large bowl, beat eggs and milk with whisk. 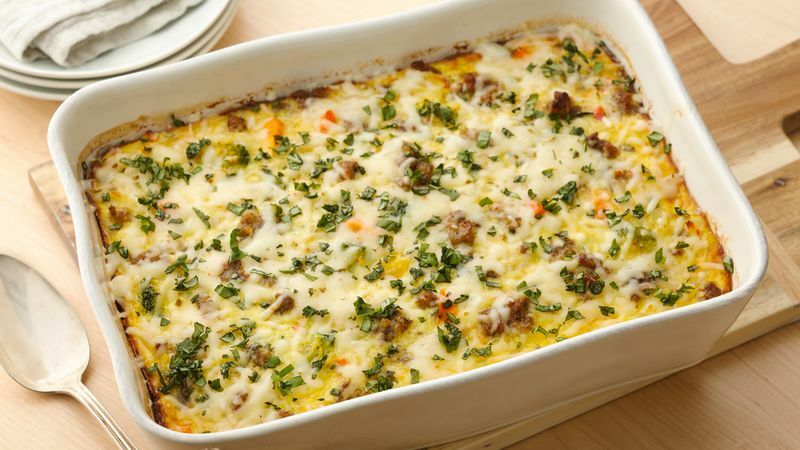 Stir in potatoes, cooked sausage, vegetables, 1 cup of the cheese and 1 tablespoon of the basil. Pour into baking dish. Bake now, or cover and refrigerate up to 12 hours. Bake 60 to 65 minutes, uncovered, until center is set. Sprinkle with remaining cheese during last 5 minutes of bake time. Sprinkle with remaining basil just before serving. 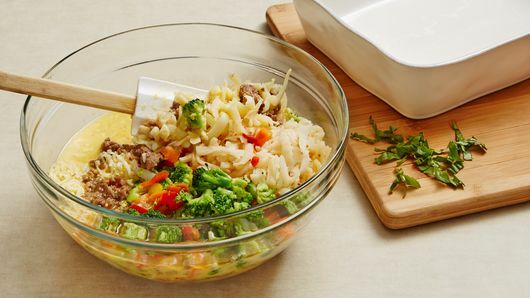 Serve with salsa or chopped fresh tomatoes. To complete your brunch, serve with fresh cut fruit and warm muffins or scones.